Got my lens and other extras today. So all's well that ends well. Thanks to all for sharing information. All's Well That Ends Well !! I still need to call adorama about getting the sling bag. I got this really trashy lowepro bag that I'm not pleased with. Can't even fit a camera in it. As an aside, make you sure you are able to send (via e-mail) a screen shot of your invoices and receipts showing proof of what you ordered vs. what was received or you may be in for multiple calls. Honestly, without the screen shot/proof of the bundle purchase, I may have been shut out. I had no problems with my purchase at all. I knew when I purchased that it was on back order, so I was willing to wait however long it took. The accessories arrived a couple days before the camera. Was going to take PS images of our Christmas cactus in bloom. Unfortunately, I found out quickly that the KP does not have an IR sensor for my remote. 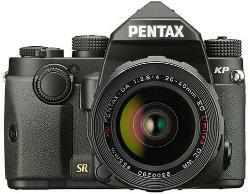 I never dreamed that Pentax would produce a camera of those specs without. Even the Q series has it. At least 75% of the time, maybe more, I use a IR remote. Eventually the water resistance for the cable cover would be worn out probably sooner than later. Feel bad about sending it back used with shutter count of 5. Had the customer service rep look to see if there was a low mileage K-3 II in any of their inventory to exchange, but there were none. So I'm sending it back. I sure hope the replacement for the KP/K3 series comes with capability for a wireless remote. This includes the Sling Bag and Pentax Strap. 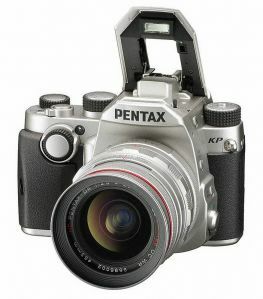 however, if you add the 50 mm lens the package is only $813.90 (in silver). I wish I didn't see this. My "buy it!" switch had been turned off since the Adorama iffiness. However, I now have to wonder- Black or Silver?